I wish I had this list when bringing home our second baby home from the hospital. 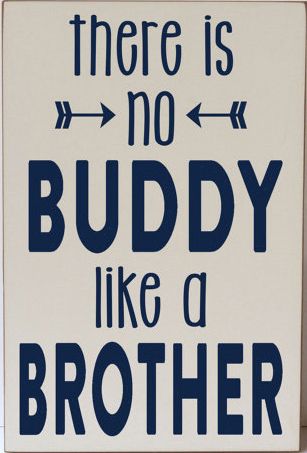 We did come home with big brother gifts but it wasn’t anything specially created for a big brother. Honestly I don’t even remember what we brought for our son. Must have been a toy that got lost among the other toys and soon forgotten. 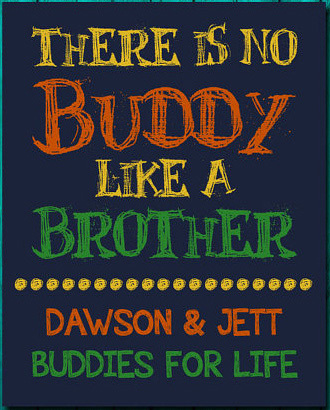 This list is a great resource of gifts to make big brothers feel special and prepare them for brotherhood: signs to always remind them of their important role in the family, photo album to hold on to precious memories, books to show him different aspects of the special relationship he’ll always have with his sibling. 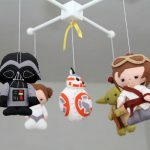 Etsy is a great resource for unique gifts and many of the big brother gifts on my list come from there. 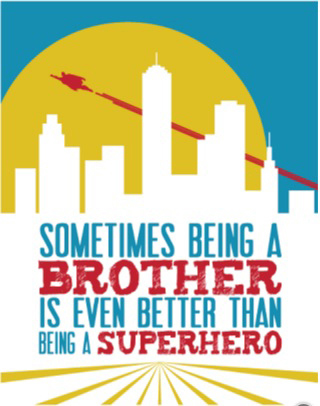 Sometimes being a brother is even better than being a superhero -You will find this quote in many Etsy shops and though the words remain the same the signs differ from one shop to the other. 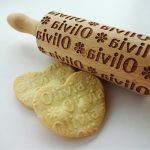 Each creator adds his/her artistic touch by choosing either vibrant colors, distinctive fonts or adding superhero signs. These two are my favorites. 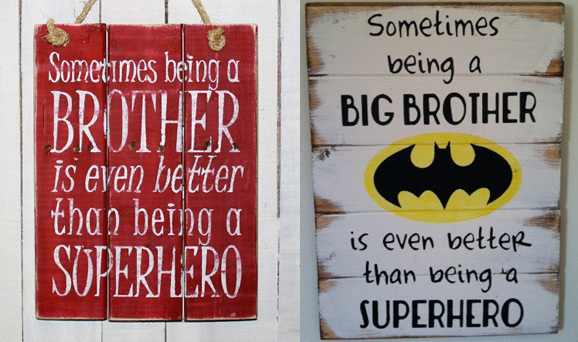 The red one is created by Everyday Creations Jen and the one with the Batman sign by Wildflower Loft. 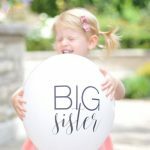 You can also create a sign yourself using the free printable designed and made available by Kim at Seven Thirty Three. 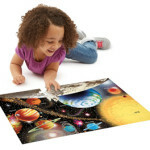 All you need is a printer, canvas and craft glue. 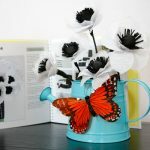 Visit Kim’s blog to get the printable and follow her step-by-step photo tutorial. I love the message and the design of these t-shirts and you can get the digital file from Scrapendipity Designs .There is no special equipment needed to transfer it to shirts, just a home printer and iron-on transfer paper. If you don’t feel like going shopping for quality plain shirts or you’re not a DIY person, you can find plenty of options on Etsy for big brother shirts. 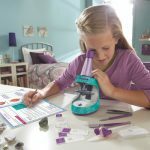 Some can be personalized or come in sets, like the one above created by Zoey’s Attic. 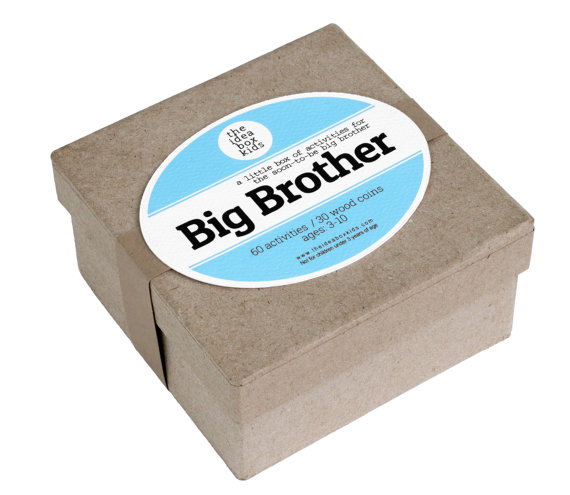 This Big Brother Box created by The Idea Box Kids is specially designed for soon-to-be brothers. 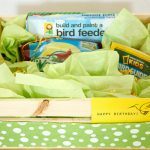 The box contains 60 activities that will help big brother prepare for the arrival of the new baby. 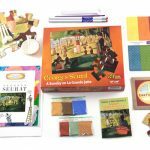 The soon-to-be big brother will have fun choosing a coin from the box! Follow his lead as you do an activity, or have a simple talk about various baby related things. He will have fun measuring Mom’s tummy, pondering about the baby’s weight & hair color, as well as hearing stories about when he was a baby. You can never go wrong with big brother books. Plenty of choices! What’s really nice is that they focus on different aspects of brotherhood: the good things about being an older sibling – “I’m a Big Brother” by Joanna Cole ,- the anticipation of waiting for the new baby, the excitement of the arrival itself- “My New Baby” by Rachel Fuller, – the beginnings of the special relationship that develops between siblings – “The New Baby” by Mercer Mayer . 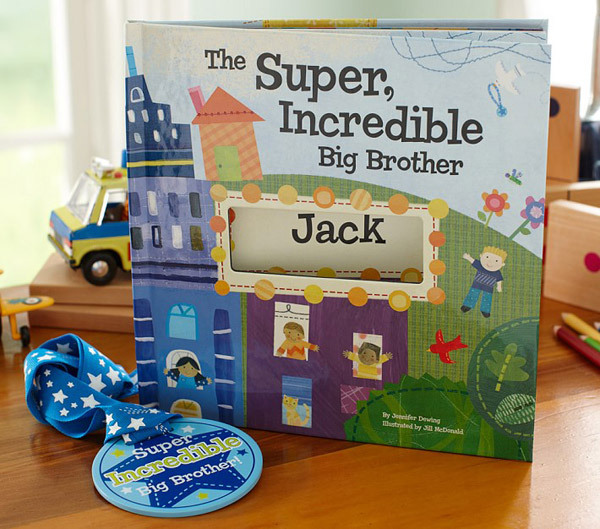 You can take it up a notch with “The Super, Incredible Big Brother” book offered by Pottery Barn Kids. 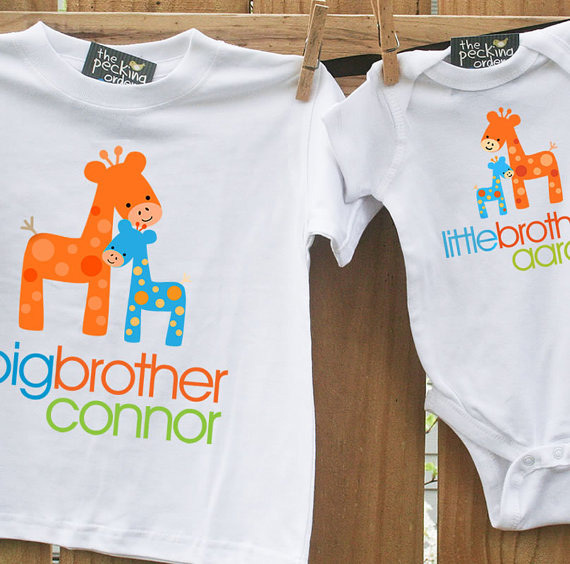 It can personalized with the big brother’s name. He will also receive a medal. Big brother can choose photos of the baby or of himself with the baby, arrange them in the big brother photo album and show them off to the rest of the family and friends. You can also add a camera so big brother can take photos himself. 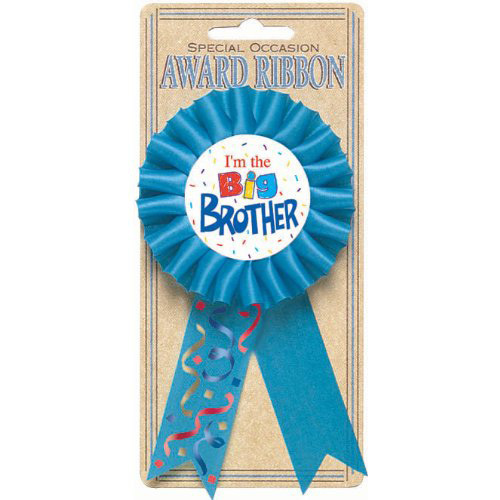 This big brother ribbon may be the first thing you want to give to your little man when he comes to visit you at the hospital or when you return home from the hospital. 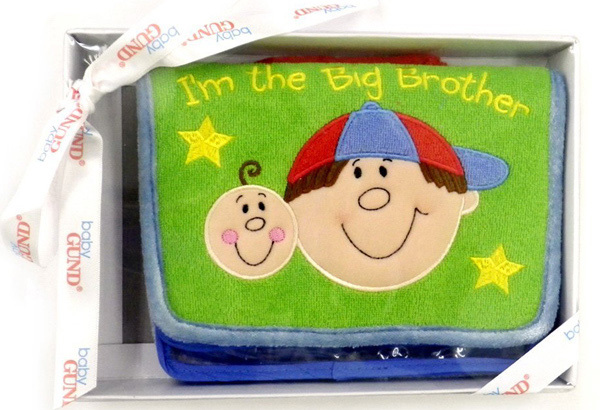 I hope your son will enjoy his big brother gifts.